Having teeth removed is something that many of us are afraid of, and in fact this fear is enough to create almost a phobia in some people of going to the dentist. This is a rather extreme reaction of course, but it is understandable when you consider just how painful it can be to have a tooth pulled. In many cases, teeth will come out with minimum effort and won’t cause too much bleeding or swelling, but in others, a tooth might be hard to remove and a nerve might be wrapped around the root. Ouch! What makes matters worse is that it’s not just the pain. You’ll also have to deal with unsightly swelling and won’t be able to eat much either. This latter point though at least needn’t be as bad as it sounds as there are soft food you can choose to eat instead that will not only go down much more smoothly, but also soothe you and act as great comfort food. When you look at having a tooth out as an opportunity to indulge yourself in delicious comfort foods, suddenly it doesn’t seem all that bad. Speaking of comfort foods then, which ones are best? You have the obvious options like frozen yogurt and ice cream. Either of these are deliciously sweet and highly indulgent. Other options include mashed banana (you can even add some milk and sugar), rice pudding, custard, jelly, porridge, applesauce and soft cakes like bread and butter pudding. Any of these will help you relax, give you plenty of energy to keep your immune system strong, and go down easily without hurting your painful gum. You can’t live off of rice pudding and custard, even if you have earned some indulgence. Luckily, there are several food you can eat for your main course that will be gentle after you’ve lost a tooth. The most obvious example here is soup, and as you can get soup in so many different flavours, this can be a varied and good way to eat. I recently had a great soup simply by putting some bolognaise into the blender. This way, you can eat what everyone else is eating and avoid feeling left out. Another option for your main course is to eat tinned beans, or even spaghetti hoops. These aren’t terribly great at sustaining you, but they can be a good way to fight hunger pangs. You may try over-cooking the pasta a little bit to make it soft. Add a tin of pureed tomatoes and grate some cheese on the top. It’s healthy, it’s quick, and it’s a proper meal. You can also have carbonara, though you may want to use finely chopped ham in the place of bacon as it will tend to go down more easily. There are also tinned pasta you can enjoy, including ravioli. As your mouth begins to heal, you can start enjoying normal meals as long as you chop them up thoroughly. These foods will be great treats when your mouth is too painful to eat normally, but you should make sure you are also being healthy and following the dentist’s advice. To make sure you get your full range of nutrients, you may be recommended to take meal replacement shakes. Likewise you should make sure to get all your vitamins and minerals, which will help you to keep a strong immune system and fend off infection; a vitamin tablet when might be a good idea. Your dentist will also likely ask you to swill with a saline solution. This is so that you can kill off bacteria and again is intended to prevent infection, so make sure that you follow their advice. Drinking plenty of water is also very important to keep the wound clean, to keep you hydrated and your system at full strength. 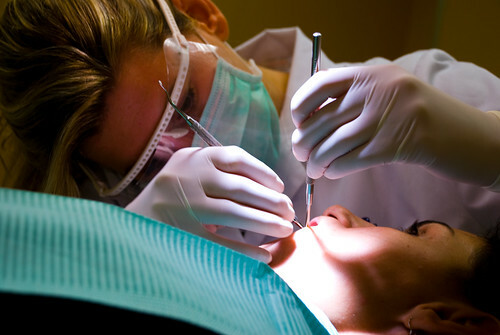 Lisa Raymond is a dentist by profession and works for wisdom teeth removal Perth, WA. Besides her professional life she also takes keen interest in social activities and is at the forefront of many a social causes which are related to her profession.